Next year will mark the 10-year anniversary for The Remix Project, a Toronto-based non-profit organization that provides access and resources for young people who are often marginalized from opportunities to enter creative industries such as music, photography and graphic design. 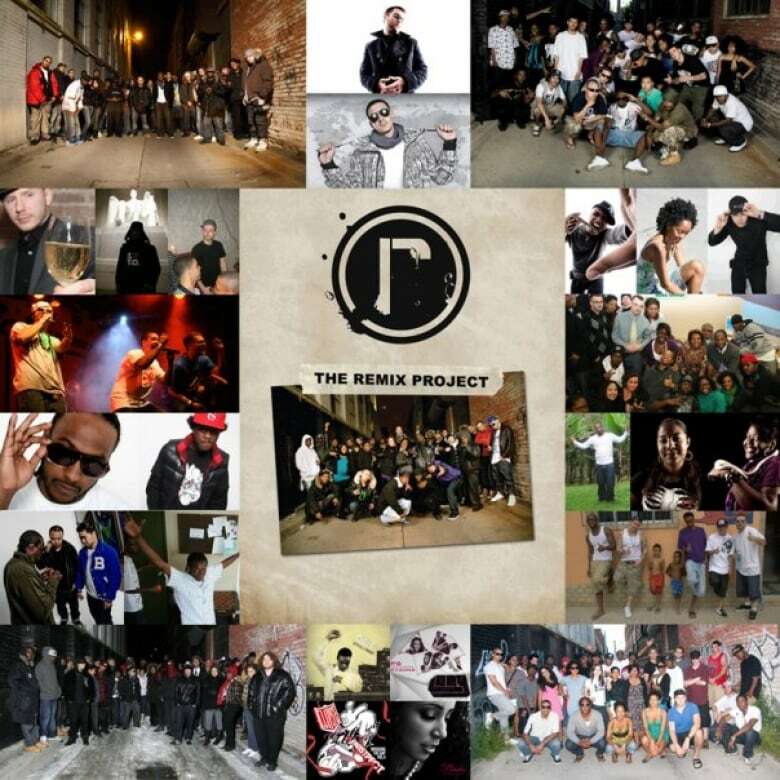 The impact The Remix Project has had on the participants is well-documented, but not as much has been said about the people who created the programs and invested their time, energy and ideas into its development. Next year will mark the 10-year anniversary for The Remix Project, a Toronto-based non-profit organization that provides access and resources for young people who are often marginalized from opportunities to enter creative industries such as music, photography and graphic design. 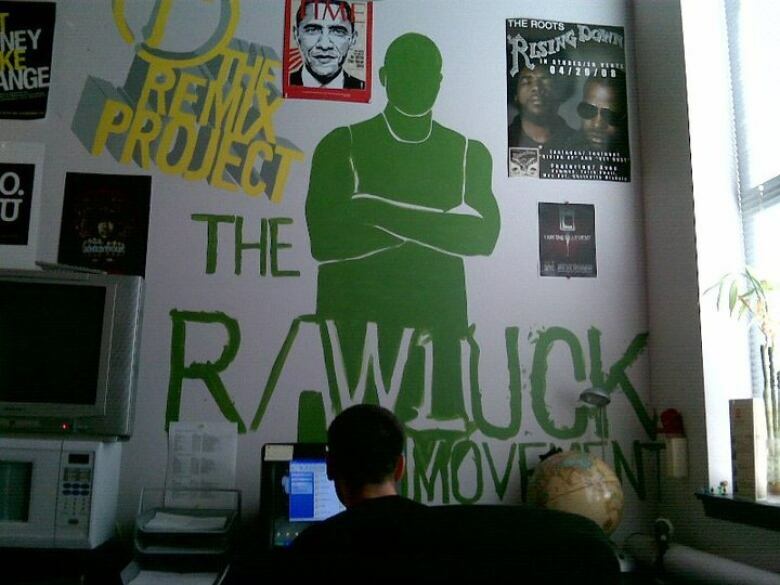 The impact The Remix Project has had on the participants iswell-documented, but not as much has been said about the people who created the programs and invested their time, energy and ideas into its development. "The participants really feel like we're giving [to] them and they don't realize how much of an impact they have on us as facilitators and program creators," says Ajene "Agile" Griffith, who, like me, was part of a group of Remix staff dubbed the Make it Happen Gang. The name turned out to be quite prophetic in more ways than one. The brainchild of co-founders Gavin Sheppard, Kehinde Bah and Derek Jancar, Remix brought together people whose talent, genius and drive would eventually result in spectacular individual careers, while collectively building the foundation for one of the most important cultural hubs in the city. And it continues to grow, recently expanding the organization's reach to south of the border. The three years that I spent working at The Remix Project, first as the outreach and community partnerships co-ordinator, and then later as the managing director, informed much of who I am today. As I step into this new position as host of Exhibitionists, I have been reflecting on the impact of the experience. I was known as the First Lady of Remix. I was not the first woman to work there (that honour goes to Natalie Hay who while studying to be a social worker, held down much of the day to day administrative support and front desk reception), I was the first woman invited into what outsiders called "The Old Boys Club." In attendance were the core staff at that time, all of whom were friends and had an array of "inside jokes": Sheppard, Drex, Tyrone "T-RexXx" Edwards, Noah "40" Shebib, Bryan Espiritu and me: the sole female, the youngest and the only one who brought a notebook to the meeting. I was terrified and mostly silent, smiling politely at jokes I did not understand and mentally wondering how I would ever fit in. For many of the staff, it was the first time that we were leaving our geographical bubbles to consistently enter a meeting point for creative and driven people. "It was like a moment for all of us to really recognize and discover Toronto," Drex says. "Discovering the city with people from all different communities, with all different perspectives and walks of life but the same kind of ambitions and desires was really amazing." My office became known as a safe space for participants and staff to sit (in couches that belonged to 40's grandmother) and vent, debrief, share, build and reflect. T-RexXx and 40's shared office was the space for intense chess matches, push-up contests and brainstorming sessions. 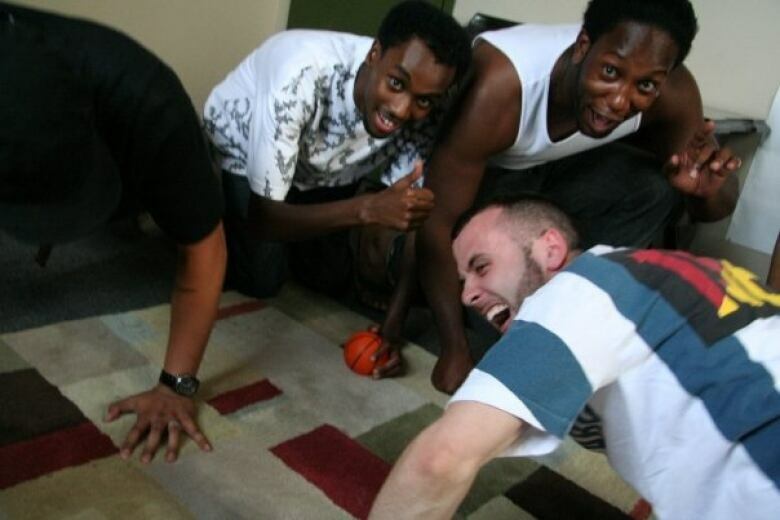 The front desk was a frequent informal meeting spot for debates, jokes and krumping battles. The front stoop was a place to get air and reason on pop culture, philosophy, cars or fashion and the neighbouring alleyway was the staple location for graduation pictures. "Every time I drive by that building, I shiver, even though it's not even there," 40 says. As I would be preparing to leave after a full day of work at The Remix Project, Drake would come in to begin a full night of work with Noah. Noah's nickname 40 comes from an unbelievable work ethic where you could see him grind for 40 days and 40 nights without rest. That drive was coupled with an amazingly playful energy that would fill the entire space. "I'm very nostalgic with Remix because, of course, the beginning of my entire career with Drake and everything we've accomplished literally started because I was able to walk into that building after 9pm when it shut down, and continue to work and develop what we were doing." Collectively, our understanding of the city, as a space of opportunity but also a complex reality of struggle and inequity grew in deep and nuanced ways. The Remix Project was born in Toronto at a time when youth violence was a key concern to the city and the buzzwords of the day were "youth-led," "at-risk" and "priority" neighbourhoods. Many of the programs and organizations that emerged in that time have now closed their doors – the need has not passed but government and funder interests have shifted and buzzwords have changed. The Remix Project has been one of the few that remains. As a team we planned semesters, compared engagement strategies, shared relevant background knowledge, organized graduations and also showed up at participants' court dates, found them lawyers, jobs and places to live, held their hands through scary medical appointments and gave as much as we could, frequently pushing ourselves beyond what was articulated in our job descriptions. "Remix really made me understand the importance of taking care of home first," says T-RexXx. "There's always these non-profit organizations that do things in India Africa, Brazil. What I realized was that we had a responsibility for the youth that are right here, right down the street, in Scarborough, in Mississauga. Realizing people were going to school hungry and understanding that those were real issues that we were dealing with and that needed attention here." The legacy of Remix lies in the enduring connections between talented and driven individuals that have led to the creation of cultural movements throughout the city, country and world. Individuals who never received formal training from educational institutions and had little working experience in the corporate world learned how to run businesses through this youth-led non-profit organization. "I was just thrown in the fire to do a lot of things that I've never done before," says Drex. "I guess it helped me recognize a skill set that I didn't really know I had. Remix was like my form of university/college." Never receiving any formal education in the field, Drex learned skills in management, coordination, supervision, logistics, business and finance that would inform his next major career opportunities. According to 40, he learned valuable insights about business by looking over Drex and Gavin's shoulders. "The skills I developed there were learning from Drex and Gavin. Learning how they operated a company. Learning that, 'Wow, all these kids are running a multi-million dollar organization. Successfully.' That was a real eye-opener to me. Look at what you can do in this world. Look at what you can achieve and accomplish." The businesses and creative projects built by the individuals who were a part of the Make it Happen Gang are critical components of an overall artistic renaissance in the city of Toronto that The Remix Project supported, sustained and helped to facilitate by creating a space safe enough for the incubation of ideas and development of relationships that endure to this day. "Whether it's food or fashion or tattoos or any form of music entertainment, the fact that all the people at the forefront of Toronto doing those things are connected to Remix in one way or another is kind of mind-blowing," Drex says. "I think that we planted a lot of seeds when we were working at Remix," says T-RexXx, "and now a lot of those same seeds that we planted, we're seeing them blossom."